Team Suzuki’s Josh Brookes (above) holds third place in the British Superbike Championship standings after the opening round of the season at Brands Hatch, the Tyco Suzuki rider taking third place in the opening encounter, after leading in the early laps; and followed it up with a lonely fifth place in race two. Rapid Solicitors Kawasaki Shane ‘Shakey’ Byrne got his title defence off to a flying start in the opening race of the MCE Insurance British Superbike Championship season at Brands Hatch as he held off Alex Lowes and Josh Brookes to claim victory at his home circuit. James Ellison powered the Milwaukee Yamaha to the second MCE Insurance British Superbike Championship race win of the day at Brands Hatch as he held off the challenge from Byrne and Lowes in the closing stages. 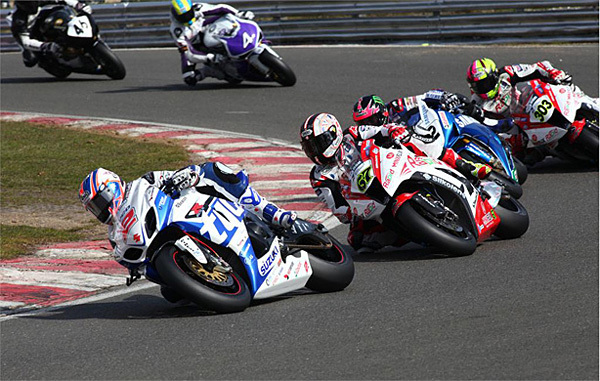 Samsung Honda’s Ryuichi Kiyonari finished fourth ahead of Josh Brookes in fifth place.